An appreciation for quality, a passion for human connection, a desire to impact the communities they serve. These qualities are just some of the ones that unite Genet Kebede and Amber Swenor, women business leaders in Addis Ababa, Ethiopia, and Madison, Wisconsin, respectively. Though they’re an ocean apart, they share the same mission, both striving to improve the lives of women and their communities through the work they do. Kebede and Swenor are just two of the women who are being celebrated this coming Monday, November 19, for International Women’s Entrepreneurship Day (WED). Established in 2013, WED is an internationally recognized day that raises global awareness about women’s entrepreneurship, with the goal of “empowering women and girls to become active participants in the economy by igniting a network of women leaders, innovators, and entrepreneurs to initiate startups, drive economic expansion, and advance communities around the world.” In order to achieve this ambitious goal, WED builds and catalyzes the vital networks of like-minded individuals and organizations that women business leaders need in order to realize their full potential and change the world. 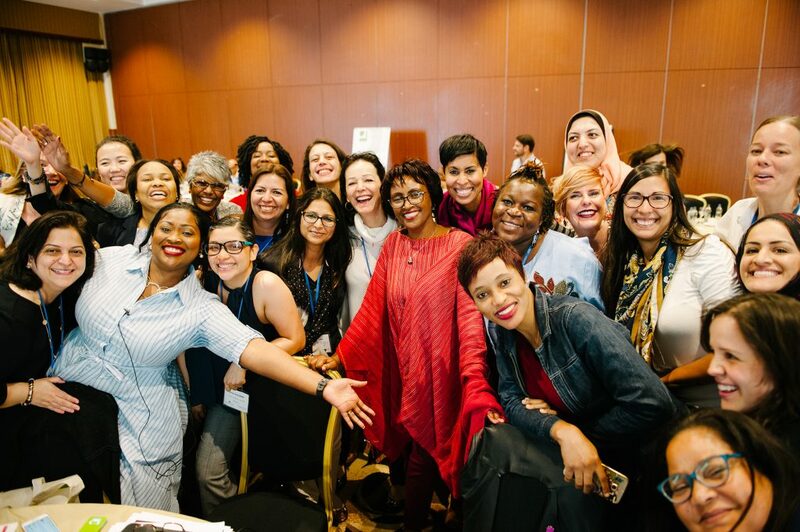 Worldwide, thousands of women leaders have developed innovative business models and solutions to drive economic expansion and improve their communities. Today, WED is a framework that helps unite men and women worldwide in an effort to promote greater change in the global economy, to be more inclusive of women-owned businesses. Kebede and Swenor met earlier this year as VVGrow Fellows. 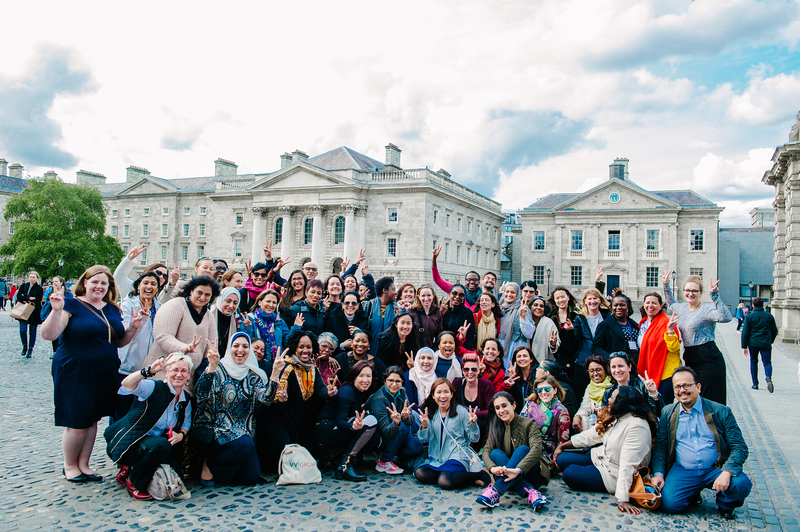 They were two of thirty-eight women worldwide who were chosen to participate in the 2018 Vital Voices International VVGrow Fellowship. Vital Voices is an international development organization addressing barriers to women in business through their signature SME accelerator fellowship, the VV GROW Fellowship. The fellows began working together in January 2018 with online coursework and weekly webinars. This past May, the fellows spent a week together in Dublin, Ireland, to focus on strategic planning for their businesses. This in-person opportunity allowed Kebede and Swenor to collaborate and develop a bond beyond the classroom as a result of their shared experience as women, as entrepreneurs, and as business owners looking to foster social responsibility around the globe. Kebede’s business, Paradise Fashion, produces Ethiopian handwoven garments, such as scarves, kaftans, and dresses, using sustainable practices. The goal, Kebede shared, is to produce beautiful, hand-crafted, high-fashion pieces that reflect traditional Ethiopian culture and aesthetic while incorporating elements of contemporary fashion and being something that women across the world would still be drawn to wearing in their everyday lives. That was back in 1992, and since that time, Kebede’s business has grown immensely. Paradise Fashion now employs more than twenty women full-time, and all of them are paid a living wage. These women, explained Kebede, are responsible for the weaving, hand stitching, and garment making. Paradise Fashion has been selling successfully through East Africa and parts of Europe, and this month, they celebrate the launch of US-based product sales! This is where collaboration with SPM came in, with Swenor’s team at SPM collaborating with Genet’s team to focus their brand messaging, strategy, and digital marketing implementation to better reflect the one-of-a-kind clothing pieces they are creating and mission-driven focus that inspires their approach. We invite you to consider shopping for yourself, or for others this season, and give a gift that positively impacts women and supports a company that’s on a mission to improve the world. A purchase from Paradise Fashion supports Sustainability, Women, promotes job-creation and Commerce, and fosters greater Connectivity between cultures. Shop the one-of-a-kind, handwoven and hand stitched Ethiopian fashions here. Quality. Passion. Human Connection. A Desire to Help Others and impact social change. This is what WED celebrates. This is who Amber and Genet are. This is what SPM, Paradise Fashion, and many other women-led businesses are built on, and what unites us.